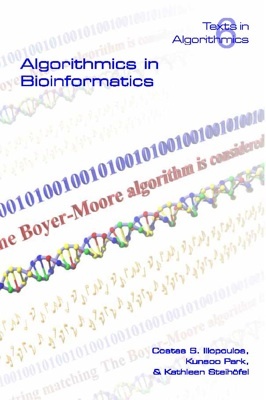 The present volume is dedicated to aspects of algorithmic work in bioinformatics and computational biology with an emphasis on string algorithms that play a central role in the analysis of biological sequences. The papers included are a selection of articles corresponding to talks given at one of two meetings sponsored by The Royal Society, the UK's national academy of science, under grant no. : JEB/KOREAN Networks/16715. The grant supported two workshops organised by researches from the Seoul National University (Korea) and King's College London (UK). The first workshop was held in Seoul, Korea, in July 2004 and the second meeting took place in London, UK, in February 2005 as part of the annual London Stringology Days.